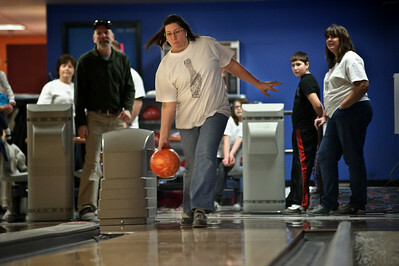 Daniel J. Murphy - dmurphy@shawmedia.com Karen Combs of Carpentersville bowls at the annual Bowl for Kids Sake fundraiser for Big Brothers Big Sister of McHenry County Sunday March 4, 2012 at the Brunswick Zone in Algonquin. Daniel J. Murphy - dmurphy@shawmedia.com Enrique Juarez of Crystal Lake holds his son Enrique, 2, (cq) during the annual Bowl for Kids Sake fundraiser for Big Brothers Big Sister of McHenry County Sunday March 4, 2012 at the Brunswick Zone in Algonquin. 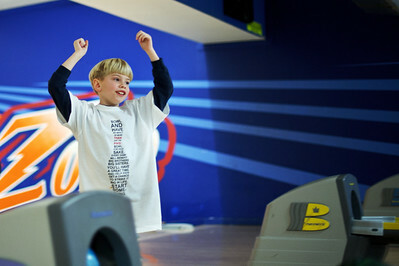 Daniel J. Murphy - dmurphy@shawmedia.com Gavin Christopherson, 8, of Dundee celebrates knocking down a pin during the annual Bowl for Kids Sake fundraiser for Big Brothers Big Sister of McHenry County Sunday March 4, 2012 at the Brunswick Zone in Algonquin. 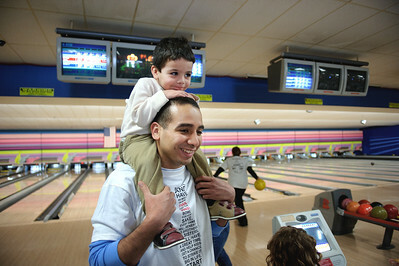 Enrique Juarez of Crystal Lake holds his son Enrique, 2, (cq) during the annual Bowl for Kids Sake fundraiser for Big Brothers Big Sister of McHenry County Sunday March 4, 2012 at the Brunswick Zone in Algonquin.